ASI is pleased to announce that the Austrian Non-Ferrous Metals Association has joined as an Associations member. ASI currently has 56 members, of which 18 are Associations. 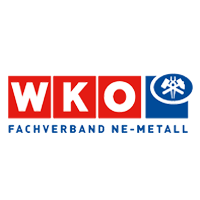 The Austrian Non-Ferrous Metals Association (Fachverband der Nichteisenmetallindustrie) is an association that represents the interests of companies producing non-ferrous metals in Austria, including the aluminium industry. The association is active on both national and European level, and is also a member of European Aluminium. Austrian Non-Ferrous Metals Association is a devoted supporter of environmentally sustainable production, processing and recycling of aluminium. We truly believe that aluminium offers a lot of opportunities to contribute to a sustainable society. We are very proud to become a member of the Aluminium Stewardship Initiative in order to work collectively on globally applicable standards for sustainability performance and material chain-of-custody for the aluminium value chain.